Tangerine tango is one of the top runway trends for this spring and summer and I am totally loving it. Well, should I say I pretty much love incorporating corals and oranges into my makeup routine around this time of this year? 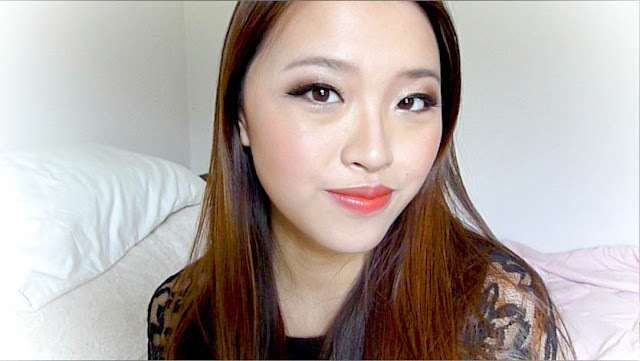 Having been MIA on the youtubeland for about 5 months *ashamed, running away, I have put together a look that corporates a few of my favourite coral/orange products for a look that transforms from day to night. I started off with a pretty simple day time look with the main focus on the metallic orange eyeshadow with a juicy coral lip. Its perfect for work/school everyday. To transform to the night time look, I thicken the liner with a jet black liquid eyeliner, slightly deepen and neutralize the cheek color for a strong bold orange lip. Orange itself has a lot of dimensions and can easily corporate into many different looks. It is a color that instantly brightens the complexion while bringing together a fresh look. I always love my corals and oranges. Hope everyone is having a wonderful weekend so far! See you all soon xo.